Let this Sunday be a super Sunday. Make this day become a special Sunday by sharing this lovely happy sunday picture for free. This picture portrays the lovely pink shaded image of flowers and giving you a pleasant feeling of happiness and joy. 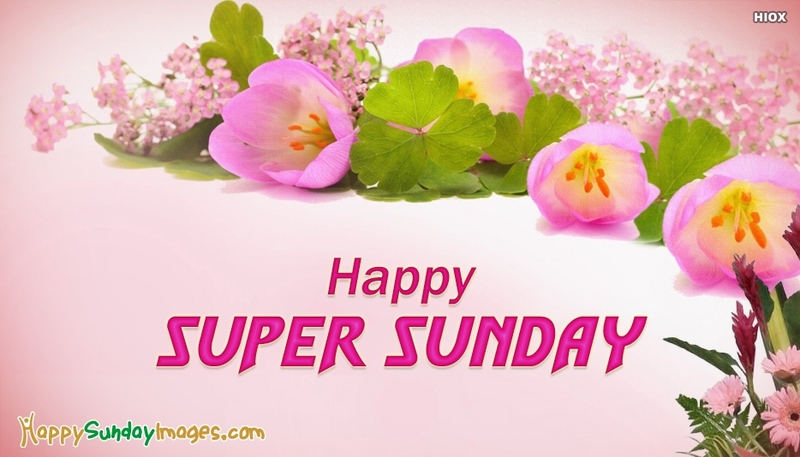 Wish all your dear friends a happy super Sunday with our beautiful "Happy Super Sunday" picture, sharing it via email, facebook, whatsapp, etc.